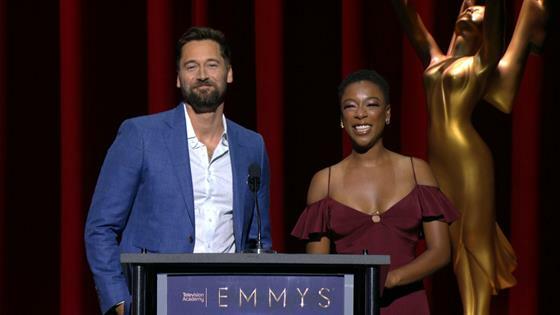 Today, at the Wolf Theatre inside the Television Academy's Saban Media Center, actors Ryan Eggold and Samira Wiley jointly announced the nominees for the 2018 Emmys. 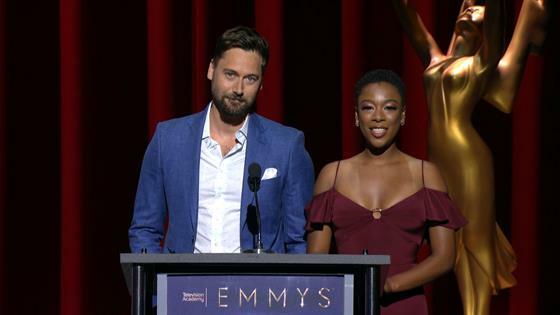 "It has been another exceptional year in television marked by extraordinary storytelling from a wealth of diverse and innovative content creators," Hayma Washington, chairman and CEO of the Television Academy, said in a statement. 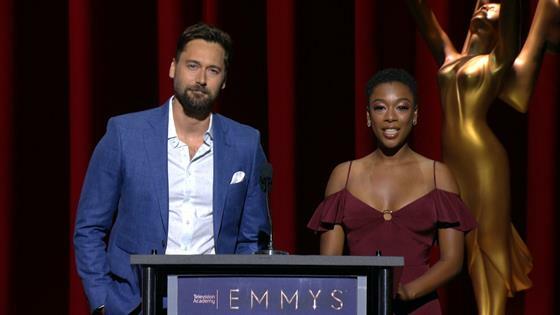 "We are pleased to have these two talented performers join us to announce this year's Emmy nominees and to celebrate television excellence." Washington will later join Eggold and Wiley to announce this year's contenders. Saturday Night Live's Michael Che and Colin Jost will serve as co-hosts for the 70th Emmy Awards, airing live from the Microsoft Theater in L.A. on Monday, Sept. 17, at 8 p.m. ET on NBC. For a full list of technical categories, visit Emmys.com.